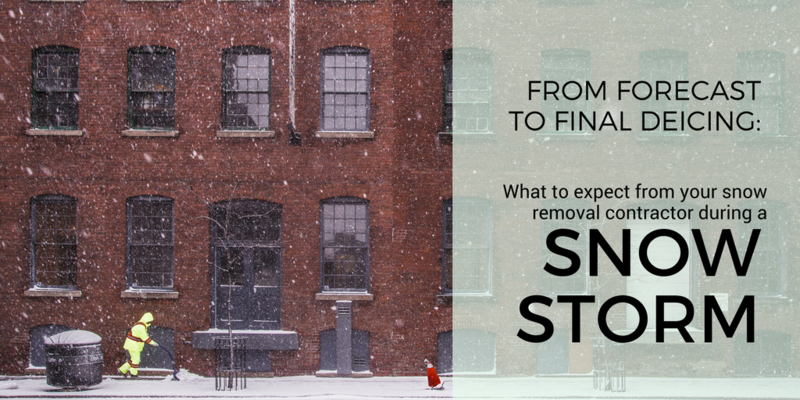 One of the most popular questions we hear from potential clients is: what happens during a snow storm? How do we communicate with crews and monitor storms? What that tells us is that people are often familiar with what snow and ice removal involves, but they’re curious to know how it gets done. We get it. You’re investing a lot into whatever snow management solution you choose, and you want to know how it works. It’s important to note that even though every snow and ice management contractor is going to do things a bit differently, our ISO certification requires that we’re constantly reviewing and improving how we do things to maximize performance, service, and efficiency. What that said, this article is going to be very Schill focused, but we hope that it sheds some light on how your property might be serviced during a typical snow storm. The first thing that happens in any snow storm is the prediction of winter weather conditions, and we monitor forecasts for several weeks prior to a storm up to several times per day when the snow begins to fall. 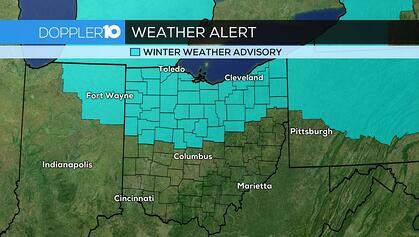 We talk a lot about how unpredictable winters can be in Northeast Ohio: This upcoming season could be brutal, like many meteorologists predict, or it could be relatively mild. Here at Schill, we like to prepare for the worst, so we utilize several weather forecasting services that help prepare us for all types of winter weather. In addition to watching for snow fall, we’re also monitoring road temperatures to see if we need to apply deicer on sidewalks and pavement as a pretreatment. This is a vital step for many of the retail properties we manage, and it helps to make sure walkways stay ice-free and remain walkable at all times. Hour by hour (and sometimes minute by minute), we watch traffic cameras for a street by street view of how much snow is accumulating. These cameras are sometimes an even better indicator for monitoring weather close to properties than forecasts alone (which encompass whole zip codes) because we can observe the weather on the camera that’s closest to our client. Communication is the most important element in making sure our clients get the best service before, during, and after every snow or ice storm. Once we know that a storm is coming, we’re calling and texting our crews to let them know when they need to report to work, and that time can always change depending on whether a storm is delayed or arrives early. Here at Schill, we stay ready so we don’t have to get ready. 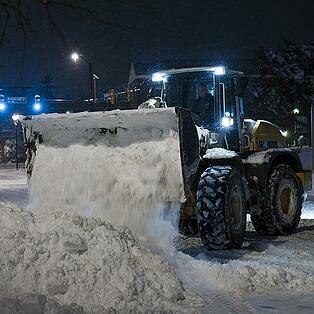 We know a snow storm can hit at any time, so our team is always ready to work. We can see when our crews arrive at or leave a site by using the geofencing feature on the tablets and devices that we give our foremen. This is great for monitoring our efficiency, and we use this data to make sure we’re constantly improving throughout the season. 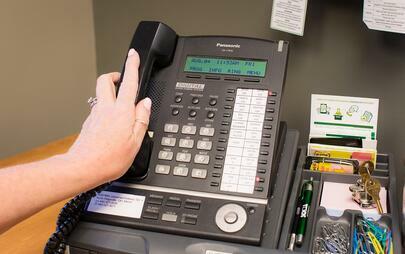 If our clients want to get in touch with us, our phone lines are open 24/7 during the winter months. 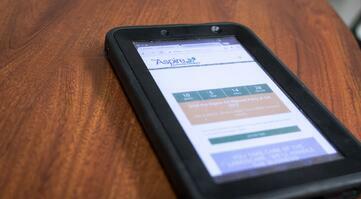 We guarantee that one of our account managers will be available to answer any questions or concerns at all times. Our clients can use this for anything from making sure our crews are one site without having to leave their homes, to reporting any new issues or hazards they’d like us to address on their property. Every client is different and each one prefers a different level of communication, so it's vital that we tailor our level of communication based on each customer's needs and desires. For instance, some property managers want to be alerted every single time we’re on site, while many of our other clients don’t want to be alerted at all, preferring instead to rest in the confidence that we’re monitoring conditions near their property around the clock. Whichever you prefer, we want to provide it. When your contract is being drafted, we’ll also sit down with you to discuss our storm management plan for servicing your property. That includes our route to your property from one of our three Northeast Ohio locations, and also determining a route to and from one of the many salt storage locations we have scattered around the region. Ideally, those routes can be completed by our crews in under four hours, so that in a worst case scenario, when snowfall is extremely heavy, we can circle back and complete the route again in a timely manner. This four-hour efficiency matters a lot to us, and it’s one of the the reasons we sometimes turning down new bids in order to give our clients the specialized attention their properties deserve. Because of the unpredictability of snow and ice and the fact that no two storms are alike, it is critical to have a storm contingency plan. Blizzard conditions, freezing rain, late snow falls, and road closures all need to be considered when creating that plan, and Schill's unique approach to storm management builds in the flexibilty to react to every situation to ensure your property is always safe. 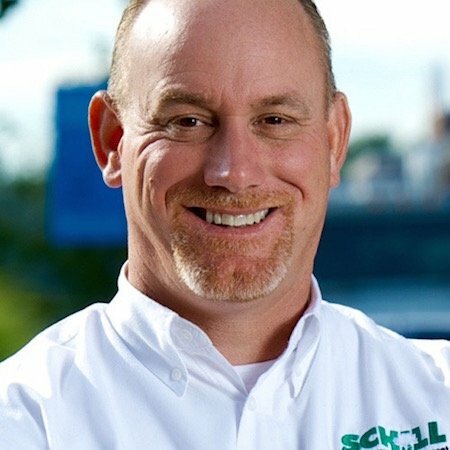 Schill has been in the commercial snow removal business for 25 years now, and our account and operations managers have almost a century of combined experience in the industry. We know how important maintaining a safe property is for you during the winter months, and we’d love to talk with you about helping you find the perfect snow and ice management solution for your property. Contact us anytime, or download our popular snow hiring guide below.